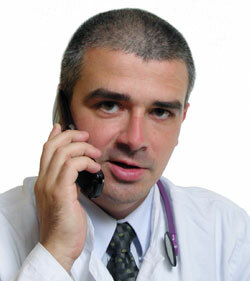 Chiropractors, like medical doctors, dentists and podiatrists, are primary healthcare providers. You don't need a referral or permission from anyone to see a chiropractor. However, if you expect financial assistance from certain insurance plans, some policies dictate that certain approval steps be taken before commencing care. Sometimes these are granted freely and sometimes it's virtually impossible. Be careful that you don't allow your health to be compromised by the profit motives of an insurance company or the petty bias or jealousy of a gatekeeper who doesn't understand chiropractic! It's your body, your health and your future.